This hour and every hour. Lord, at the moment nothing seems to be able to help the loss I feel. My heart is broken and my spirit mourns. All I know is that Your grace is sufficient. For when I am at my weakest Your strength is strongest. We shall walk together again. Lord, you know me inside and out. you understand the fears of my heart. At the cross you endured unabating agony. And emerged in power and glory. Lord, I reach out to you for your guidance. Please show me which way to turn. Calm my anxious thoughts, come speak into my mind. Strengthen me as I falter and feel weary. May I feel strength rising up within my heart. Bring clarity into my visions and dreams. Or what I decide to do. You journey with me always. Father, this world sometimes bewilders me and is beyond my understanding. I see poverty and disease, storms and earthquakes, war and killing. Many hearts are bound by ego and fear. Please strengthen my faith in your higher purpose and open my mind to the truth that everything is unfolding according to your divine plan. Let compassion and love for my brothers and sisters flow from me and may we all be uplifted by your glory. AMEN. Click on a picture to enjoy more inspiring photos and stories. Have you ever needed supernatural strength to face a situation head-on, but not known what to pray? God is waiting and wants to offer us strength in time of need. Do not be afraid to pray and ask God for His strength to fall upon you! When you are weak, weary or unready to stand, and unsure of what to ask, pray along with these words! Lord, I’m weary. My energy is sagging, and my motivation is lagging. And I am so in need of you. I need your strength and your fresh touch to get back on track again. Your Word says the joy of the Lord is my strength. If that’s true, then I need your joy to replace all the bone-tired parts of my mind, body, and soul. The pressures of life sometimes push me into a corner, rendering me helpless to move forward. A hundred voices call my name, and I feel paralyzed at times to answer, not knowing where to turn. Lord, help me not to quit, to keep running the race faithfully, and to find strength in that safe, secret place of yours, under the shadow of the Almighty. I need your strength to say no when I’m tempted to surrender to harmful things, or when selfishness clings to my clothes and won’t let go. I need your strength to say yes, when cowardice and fear nudge me to deny the convictions of my heart. I need your strength to reach out in love to those both close to me and all around me. When don’t I need your strength, God? You are my rock, and I run to you today, believing that you will lift up my heavy arms, that you will fuel me for the tasks you’ve given me, and that your joy will completely consume the weakness of my life and make me strong again. I don’t want to stay grounded, crippled by limitations and failed attempts. I’m tired of feeble efforts. Lord, I want to mount up with wings like an eagle and not just fly. I want to soar. Renew my strength, Lord. Fill me with your supernatural power to overcome each obstacle in my path. With my eyes on you, Lord, with you walking beside me, working through me, I can make it. Thank you, Lord! Lord, like David, I need your encouragement in a time of trial and anguish. Thank you that you are always on the throne, always my God, ready to save. Thank you for being the same God to me that you were to David. Thank you for always being near and always rescuing me from my fears and hurts. Lord, help me remember that daybreak might be just ahead, that this trial will not last forever. Fill me with hope that daybreak is coming and that your love will always prevail! In Jesus’ Name, Amen! Lord, I am weary and don’t know when this “race” will end in my life. I feel like I’ve been running forever, trying to outrun this trial. Help me to stop trying to outrun my pain but rather run with endurance the race you have set before me. I know that because of you I am ultimately a victor over the trials in my life. I know that nothing in this world can separate me from your steadfast love. Please give me a measure of your love today; give me the strength to endure this trial. Thank you for your love for me that never ends! And thank you for the crown of joy that awaits me forever in your Kingdom! What are you praying for strength for today? Join our large praying community in the comments below and experience the power, hope, and comfort of being joined in prayer! Here are more Prayers for Strength when you need God to lift you up in hard times! 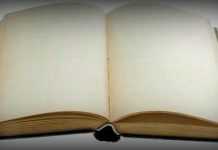 Here is a collection of some of our favorite Bible verses about the promises of God’s strength. May these give you hope and encouragement to persevere with a bold confidence! Find the complete list at BibleStudyTools.com’s Scripture page. Rebecca Barlow Jordan is an inspirational author, speaker, and passionate follower of Jesus who loves to encourage others heart to heart. She has written 11 books and over 1700 other articles, greeting cards, and other inspirational pieces. Her daily devotional Daily in Your Presence is available for delivery through Crosswalk.com. You can find out more about Rebecca at www.rebeccabarlowjordan.com. This article is part of our larger Prayers resource meant to inspire and encourage your prayer life when you face uncertain times. Visit our most popular prayers if you are wondering how to pray or what to pray. Remember, the Holy Spirit intercedes for us and God knows your heart even if you can’t find the words to pray. Now available is our new Daily Prayer devotional! An easy way to find start your day with prayer, read today’s prayer and sign up to receive by email. A Prayer for Strength is often needed during difficult times. God is always here for us, to give us strength and lift our hearts when all seems hopeless. Most of us realize that our own strength is not always enough to get through some of the situations that this life brings. Below we have 7 prayers for strength submitted by pastors and clergy. Contribute to this site by submitting your own prayer for strength. Or, submit a prayer request below. Lord, you are Holy above all others, and all of the strength that I need is in your hands. I am not asking, Lord, that you take this trial away. Instead, I simply ask that Your will be done in my life. Whatever that means, that is what I want. But I admit that it’s hard, Lord. Sometimes I feel like I can’t go on. The pain and the fear are too much for me, and I know that I don’t have the strength on my own to get through this. I know that I can come to you, Jesus, and that you will hear my prayer. I know that it is not your intent to bring me to this point just to leave me in the wilderness alone. Please, Lord, give me the strength that I need to face today. I don’t have to worry about tomorrow. If you just give me the strength that I need today that is all I need. Keep me from sinning during this trial. Instead, help me to keep my eyes on you. You are the Holy Lord, and all of my hope rests in you. Thank you for hearing my prayer. 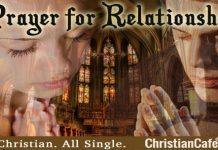 Get strength for your relationships: Relationship Prayers. Thank you, Lord, for being there for me and allowing me to cry out to you in my times of need. It is amazing to me that the Lord of the Universe would take time to listen to me and to care about what I say. God, there are things happening around me right now that I do not understand. Some of these things make me feel weak, helpless and afraid. Even in the midst of this, I know that you are the Lord. I know that the situation is in Your hand, and I trust You. I beseech you for strength and for wisdom that I would be able to endure this situation and be able to handle it in a way that would bring glory to Your name. on us while we struggle to comprehend life’s hardships. light hearts and renewed spirits. Lord, I come before you today knowing that all power is in Your hand. I know that you are the Lord and that you care for your people. Right now, my friend is struggling with a difficult trial. I can see her strength is faltering, Lord, and know that you have all of the strength that she needs. I pray that you will reach down and touch her right now wherever she is at this moment. strength that can help her to get through this day. and shoring up her strength during this difficult time. Say these prayers when you’re in need of strength and courage. Day to day troubles are no match for the power of the Lord. good in times of need. will show me the right way to a just and right resolution. Thank you for hearing my prayer and for staying by my side. or He will give you unfailing strength to bear it. Lets go straight to the source, and read bible verses about strength in trying times. Click here to read more bible verses for strength, and Bible verses for courage. 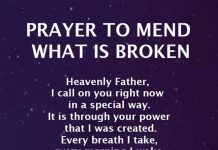 If you’d like, you can post your prayer below so the PrayWithMe community can help pray with you. 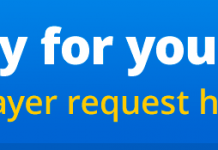 Rules for Posting: All prayers are posted publicly through to this site. Don’t use full names or any other identifying information that you wouldn’t want out on the web. Don’t post with ALL CAPS, and try to use proper spelling and grammar. If you can, help pray for others and post comments of support. Tap below to see prayers from other visitors to this site. Prayer does not need to be a flowery speech; its how we talk to God. We pray when we want to communicate thanksgiving or a need to our Heavenly Father. He is the source of our strength and every one of our prayers is heard by Him. He not only listens and answers our prayers; He also tells us how to pray. We see the model for prayer as given by Jesus in Matthew 6. I list the model below amongst these ten powerful prayers for strength. 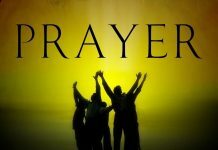 Matthew 6:9-13 (KJV) After this manner therefore pray ye: Our Father which art in heaven, Hallowed be thy name. Thy kingdom come, Thy will be done in earth, as it is in heaven. Give us this day our daily bread. And forgive us our debts, as we forgive our debtors. And lead us not into temptation, but deliver us from evil: For thine is the kingdom, and the power, and the glory, for ever. Amen. John 17 When Jesus had spoken these words, he lifted up his eyes to heaven, and said, “Father, the hour has come; glorify your Son that the Son may glorify you, since you have given him authority over all flesh, to give eternal life to all whom you have given him. And this is eternal life, that they know you the only true God, and Jesus Christ whom you have sent. I glorified you on earth, having accomplished the work that you gave me to do. And now, Father, glorify me in your own presence with the glory that I had with you before the world existed. “I have manifested your name to the people whom you gave me out of the world. Yours they were, and you gave them to me, and they have kept your word. Now they know that everything that you have given me is from you. For I have given them the words that you gave me, and they have received them and have come to know in truth that I came from you; and they have believed that you sent me. I am praying for them. I am not praying for the world but for those whom you have given me, for they are yours. All mine are yours, and yours are mine, and I am glorified in them. And I am no longer in the world, but they are in the world, and I am coming to you. Holy Father, keep them in your name, which you have given me, that they may be one, even as we are one. While I was with them, I kept them in your name, which you have given me. I have guarded them, and not one of them has been lost except the son of destruction, that the Scripture might be fulfilled. But now I am coming to you, and these things I speak in the world, that they may have my joy fulfilled in themselves. I have given them your word, and the world has hated them because they are not of the world, just as I am not of the world. I do not ask that you take them out of the world, but that you keep them from the evil one. They are not of the world, just as I am not of the world. Sanctify them in the truth; your word is truth. As you sent me into the world, so I have sent them into the world. And for their sake I consecrate myself, that they also may be sanctified in truth. I Chronicles 4:10 Jabez called upon the God of Israel, saying, “Oh that you would bless me and enlarge my border, and that your hand might be with me, and that you would keep me from harm so that it might not bring me pain!” And God granted what he asked. From hour to hour through all its changes guide. An eve untouched by shadows of decay, The brightness of a holy deathbed blending With dawning glories of the eternal day. Through Jesus Christ Thy co-eternal Word, Who, with the Holy Ghost, by all things living Now and to endless ages art adored.